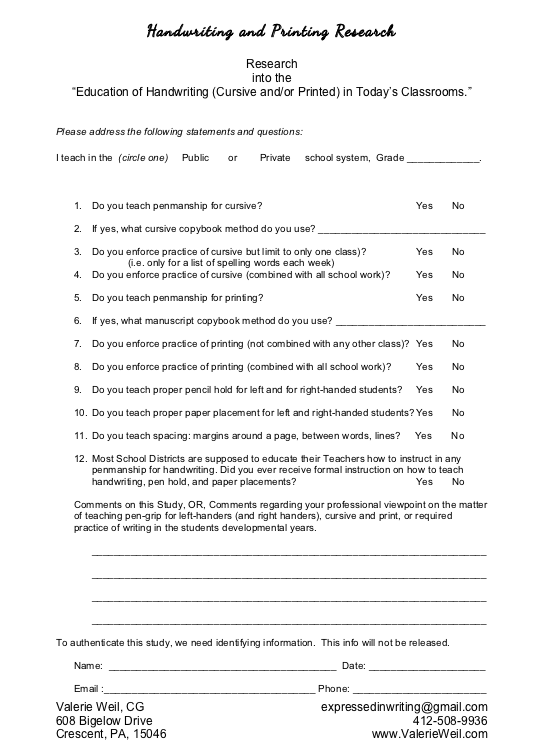 Handwriting Ed Survey - Valerie Weil, C. G.
​We are not allowed to survey inside the schools, so we rely on teachers volunteering this information. If you teach school, please help! This is mainly a yes or no survey, with plenty of room for your comments and perspectives. Its a easy click and go survey, but your participation and feedback will mean so much to so many! Use the above link for online convenience...or, print and complete the paper one (download the PDF) and return it.